"The new bio-medical waste management rules will change the way country used to manage this waste earlier. Under the new regime, the coverage has increased and also provides for pre-treatment of lab waste, blood samples, etc. It mandates bar code system for proper control. 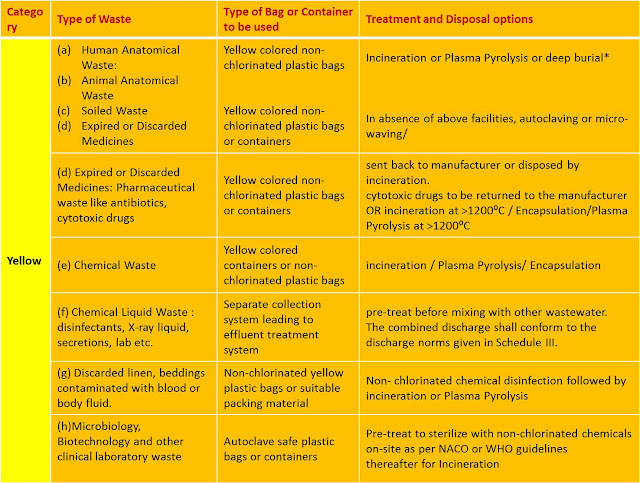 It has simplified categorisation and authorisation.Thus, it will make a big difference to clean India Mission"
These rules may be called the Bio-Medical Waste Management Rules, 2016.
g) Hazardous micro organisms, genetically engineered micro organisms and cells covered under the manufacture, use, import, export and storage of hazardous microorganisms, genetically engineered micro organisms or cells rules, 1989 made under the Act. 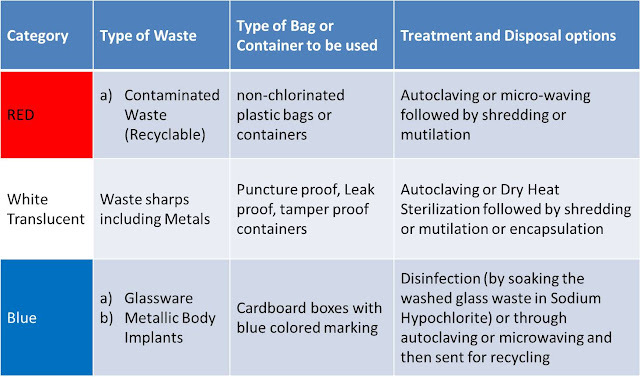 – In cases where service of the common bio-medical waste treatment facility is not available, the Occupiers shall set up requisite biomedical waste treatment equipment like incinerator, autoclave or microwave, shredder prior to commencement of its operation, as per the authorization given by the prescribed authority. 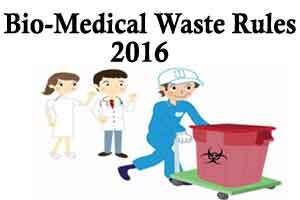 • Initially: Bio-medical waste classified in to 10 categories based on treatment options. – Bio-medical waste classified in to 4 categories based on treatment options. – One time Authorization for Non-bedded HCFs.